Coordonnateur : Gero John S.
Designing is one of the foundations for change in our society. It is a fundamental precursor to manufacturing, fabrication and construction. Design research aims to develop an understanding of designing and to produce models of designing that can be used to aid designing. 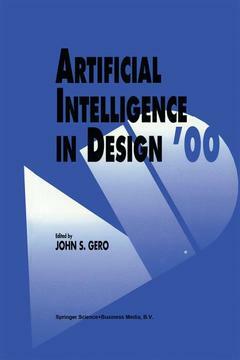 The papers in this volume are from the Sixth International Conference on Artificial Intelligence in Design (AID'00) held in June 2000, in Worcester, Massachusetts, USA. They represent the state of the art and the cutting edge of research and development in this field, and demonstrate both the depth and breadth of the artificial intelligence paradigm in design. They point the way for the development of advanced computer-based tools to aid designers, and describe advances in both theory and application. This volume will be of particular interest to researchers, developers, and users of advanced computer systems in design. Preface. Part 1: Design Theory. Designing a font to test a theory, T. Smithers. The role of multicriteria problem solving in design, L. Mandow, J.L.P. De La Cruz. Limited computation, unlimited design, J.-P. Protzen, et al. Part 2: Knowledge Modeling. Towards an ontological framework for knowledge-based design systems, F. Varejao, et al. Knowledge modeling in design - the MOKA framework, R. Klein. Expressing regulatory design knowledge for critiquing intelligent design assistants, M. Ursu, P. Hammond. Part 3: Knowledge Management for Design. Towards a systematic repository of knowledge about managing collaborative design conflicts, M. Klein. Managing knowledge in dispersed design companies facilitating context-driven design support through multiple perspectives, P.A. Rodgers, et al. An integrated development environment for the design and maintenance of large configuration knowledge bases, A. Felfernig, et al. Part 4: Shapes in Design. Shape grammer-based expert systems for engineering design, M. Agarwal, J. Cagan. Categorisation of shapes using shape features, S.-H. Park, J.S. Gero. Representations from generative systems, A. Koutamanis. Part 5: Evolutionary Systems in Design. Interactive evolutionary conceptual design systems, I. Parmee, et al. Fully automated design and manufacture of real machines, H. Lipson, J.B. Pollack. Evolutionary structured planning, C. Bezerra, C.L. Owen. Part 6: Process-Based Reasoning in Design. Structural engineering support through constraint satisfaction, E. Gelle, et al. Signposting for design process improvement, J. Clarkson, et al. Building design support by soft computing, Ö,.Ciftcioglu, et al. Part 7: Case-Based Reasoning in Design. Design case retrieval by generioc representations, H.H. Achten. Characterising evolutionary design case adaption, A. Gomez de Silva Garza, M.L. Maher. Exposures to examples, A. Heylighen, I.M. Verstunen. Part 8: Learning in Design. Design heuristics extraction, P. Matthews, et al. Evaluating a model of learning in design using protocol analysis, S.K. Sim, A.H.B. Duffy. Discovery of design methodologies, C. Shakeri, et al. Part 9: Exploration and Generation in Design. A framework for concept generation and exploration, Y.-C. Liu, et al. Erasure in design space exploration, R. Woodbury, et al. A design representation to support automated design generation, J. Heisserman, et al. Part 10: Context in Design. Reminding and context in design, C. Charlton, K. Wallace. Computational situated learning in design, R. Reffat, J.S. Gero. Reasoning with design rationale, J. Burge, D.C. Brown. Part 11: Agent-Based Design Systems. Deliberate evolution in multi-agent systems, F.M.T. Brazier, et al. Expectation formation in multi-agent systems, D.L. Grecu, D.C. Brown. Development of an intelligent agent for the design of local area networks, H. Rezazad, G. Tecuci. Meaning mediated mechanism: A prototype for constructing and negotiating meaning in collaborative design, J. Haymaker, et al. Contact Author Electronic Addresses. Author Index.